The Home Trust: What first compelled you to enter real estate? Craig Hogan: Three generations before me were in the real estate field in one way or another and I swore it would not be my path. Watching the crash of the 80’s and the fallout for our family was an experience. However being a real estate junkie proved too overpowering and I gave in nearly 20 years ago and never looked back. After all this time, I still love to be in and around such great homes and estates that tell the story of the life that has taken place there and those who were involved in creating such works. CH: Inspiration for me comes from so many things however persistence is, by far, the standout. Persistence can be seen in so many situations and people and it keeps you moving forward regardless of the hurdles. Those who started with little or with a higher level of challenge or difficulty and succeeded anyway have had the strongest influence on my path. CH: Respond quickly, listen intently and follow up. And that advice has never failed me. CH: I would say quality of craftsmanship and attention to design. Regardless of the product, price or industry, those two are present. When something is made better than anything else it’s obvious and matters. If it’s designed well and functions better than anything else of its kind then you have a winner. THT: What is your favorite object that reflects the extraordinary and why? CH: My weakness has always been the most beautifully designed works in the automotive world. The design trends from the automotive world have influenced so many other fields and products, and the connection to these incredible machines and the open road is a true love. Their design from long ago and today is truly moving to me. CH: Rooms, and spaces in general, that are designed and finished with the functionality of use in mind are obvious from the start. When a room or space has been so thoughtfully executed that you see exactly what was intended then the room sings. THT: You’re responsible for The Ritz-Carlton Residences Chicago, the most iconic brand in hospitality and residences, along with Previews, the world’s largest luxury real estate organization in one of the United States’ largest markets. What makes a great organization? CH: The ability to infuse the culture of excellence to every member of an organization is a foundational concept that makes a great organization. Clearly a difficult task so it’s critical to never relent. THT: The Ritz-Carlton Residences, Chicago is a member of The Home Trust. Can you tell us a little bit about that? CH: To me The Home Trust is a curated collection of sources and goods that share the same space in the luxury arena. It offers an excellent venue to get past the noise of those clamoring for our attention, and you know that The Home Trust has put them in their “collection” for a reason. Craig Hogan is a native of Houston, Texas and a resident of Chicago since 1994. He started his career as an insurance broker, marketing investment and life products. But his DNA is real estate and he moved permanently into the real estate industry in 1996. 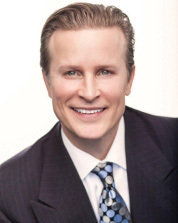 A respected real estate leader and mentor, Craig uses his extensive industry knowledge and experience to drive Coldwell Banker’s Previews Luxury Division where he works closely with their top-producing agents to provide them with the resources and connections necessary to succeed in the luxury market. Craig also works directly with high end property developers to assist them with sales and creative marketing insights and solutions. When not focused on real estate, Craig enjoys all that downtown Chicago has to offer. It’s been said that he is the most connected individual in Chicago as well as an amazing resource for restaurants, events and all things Chicago. Craig is also a philanthropist, automobile enthusiast, oenophile, news junkie and animal rights advocate.